Mr. A.K.M. Assaduzzaman has joined in this academy of 3rd March 2013 and serving as an instructor till today. He has almost 22 years of experience as an Electrical Engineer Officer on board the Vessels of general cargo, Containers Carriers and Tanker Vessels. 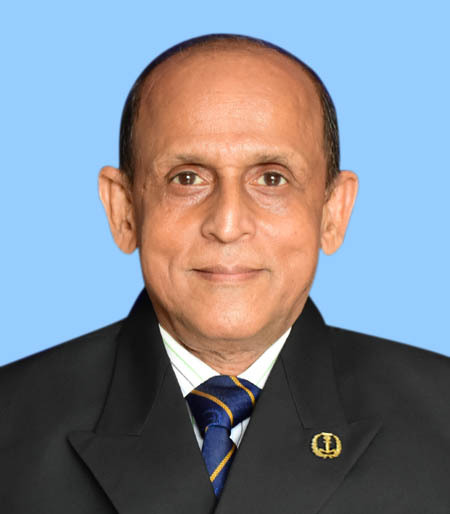 Besides this, he also has experience as Assistant General Manager (AGM) in Bangladesh Shipping Corporation for more than 3 years. He has served as a visiting lecturer in (Electrical) in DEPTC (BIWTA). He passed Diploma in Electrical Engineering from Bangladesh Technical Education Board and Higher Diploma in Marine Electrical Engineering which was conducted by Soviet expert in BFDC. He obtained COC from DG Shipping and COC of Electrical Engineering from Panama Maritime Authority.